March doesn’t just have to bring luck to the Irish– and with St. Patrick’s day around the corner, are you looking to get lucky? If so, take out those gold – or silver – coins that are collecting dust in your drawers and bring them over to Provident Loan Society of New York. Rather than following the old folklore tradition of capturing a leprechaun to receive three wishes, you can just bring your gold or silver down to one of Provident Loan Society’s five locations and have your wishes come true. Don’t have any gold or silver to spare? Don’t fret: Just bring over some jewelry you don’t wear! Whether it’s an old necklace that’s not your style anymore or a ring you’ve outgrown, you can turn to Provident Loan Society to turn your rags into riches. The rainbow is a lot closer than it seems. At Provident Loan Society an appraiser will estimate how much your gold is worth and give out an instant cash loan, having you out the door in 20 minutes or less. Unlike those rumored old grouchy leprechauns, Provident Loan Society is happy and here to help you. Plus, a loan from Provident Loan Society doesn’t impact your credit! What’s more, taking out a loan at Provident Loan Society doesn’t come at a price. Most for-profit lending organizations in New York City charge interest rates up to 48%, requiring customers to have a good credit score in order to take out a loan . But fees and interest at Provident Loan Society are typically half the cost of a commercial pawn shop. Yes, that’s right: Half. Talk about lucky! While it all almost seems too good to be true, Provident Loan Society has been doing this for a while. For over 120 years, Provident Loan Society has been New York’s leading not-for-profit lending organization, providing instant cash loans for gold, jewelry, fine watches, and silverware. But the luck doesn’t end here. Additionally, a loan from Provident Loan Society allows a longer payback period of six months versus four months at a commercial pawn shop. 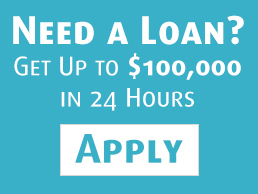 You can borrow up to $100,000 and there are no required payments until up to six months. Even if after six months you’re struggling to pay back your loan, Provident Loan will try its best to help you via a so-called grace period. So instead of watching your valuable trinkets collect more dust this March, bring them over to Provident Loan Society and watch as the end of the rainbow gets closer and closer. Provident Loan Society has offices in Manhattan, Queens, Brooklyn and The Bronx. no thoughts on "Turn Your (Pot Of) Gold Into Cash"